If you decide to visit our region and you are passionate about two wheels, know that Liguria offers many cycle routes that will take you to discover its souls that characterize it: the hills and the sea! For the novicecyclists we recommend the panoramic 24 km cycle path that leads from Ospedaletti to San Lorenzo al mare. 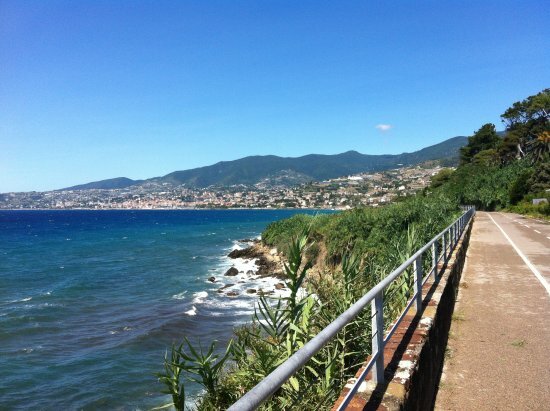 The cycle path is flat – and is a rarity in Liguria – and crossing it you can see magnificent places. For info refer to the site https://www.pistaciclabile.com/. If you are looking for the most challenging panoramic trails, we recommend renting electric mountain bikes to tackle the steepest climbs without effort. On the site https://www.piste-ciclabili.com/regione-liguria you can find info on 130 tourist routes divided by category.